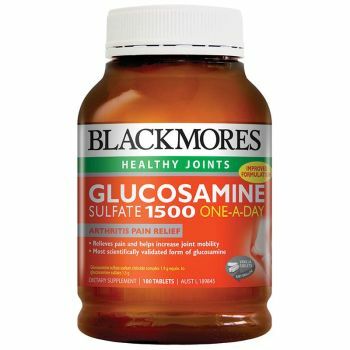 Glucosamine 1500 is a high potency, one-a-day supplement ideal for helping athletes and active people maintain healthy joints and reduce cartilage wear. Glucosamine may help reduce joint inflammation, decreasing swelling and increasing joint mobility, and provide temporary relief from the pain of osteoarthritis. Glucosamine may also assist through its direct action in repairing damaged cartilage and therefore promoting improved joint function.